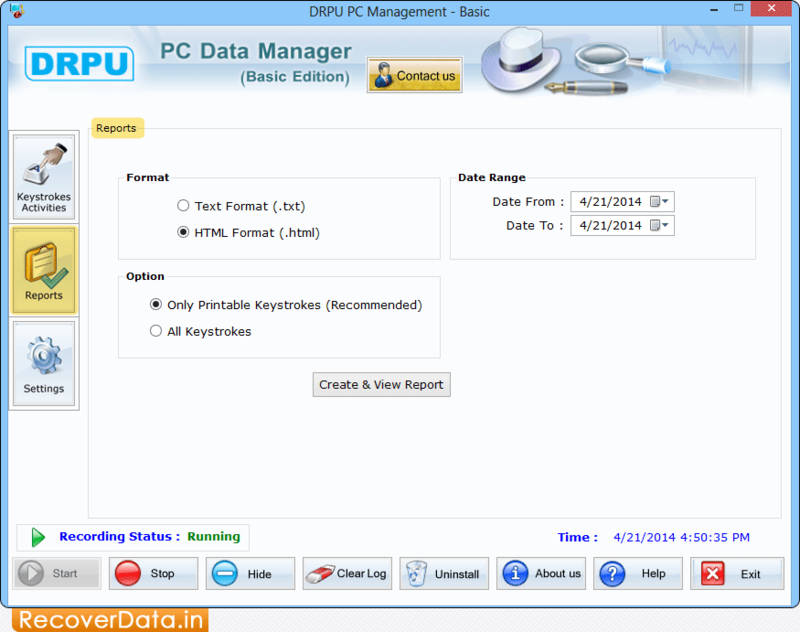 Run Keylogger Software to start monitoring all activities on your computer system. 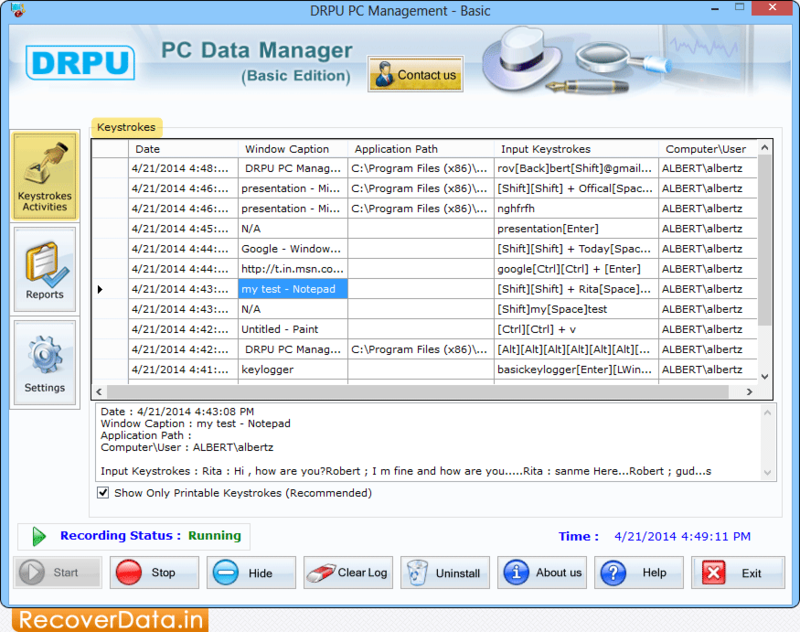 Generate report of recorded data in .txt or .html file format with date as per requirement. 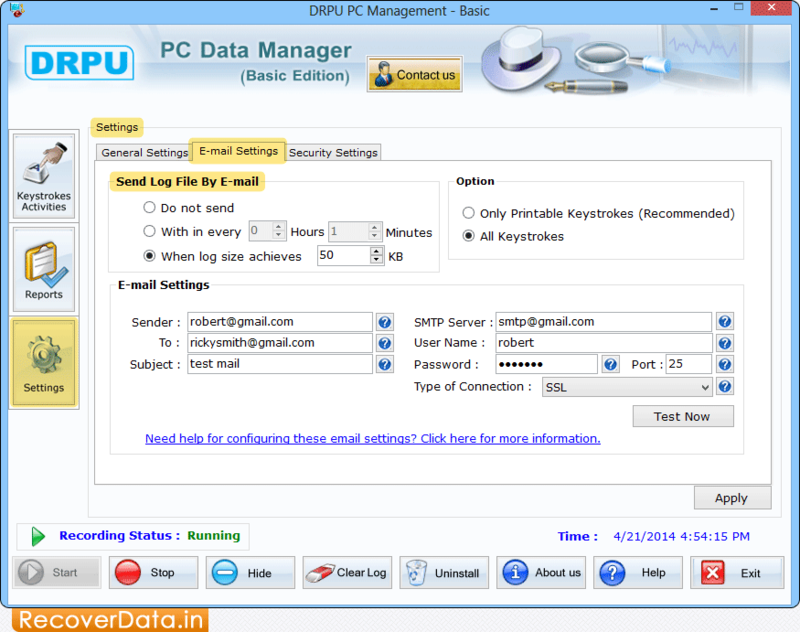 Go to the 'Email Settings' tab to send log file of the recorded keystroke action at specified email address.